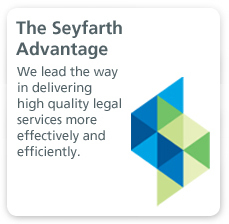 Employers depend on the experienced attorneys in Seyfarth Shaw’s Equity and Executive Compensation practice to aid smooth executive transitions and help retain top talent. Our reputation as one of the leading equity and executive compensation practices in the nation is grounded in having attorneys who understand that effective plans and business practices are key for businesses to attract and motivate leaders, senior managers and other key personnel. Businesses must balance equity and executive compensation offerings with their need to maintain a competitive edge. 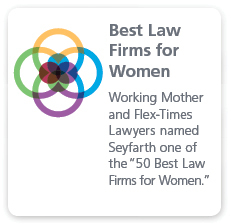 To meet this challenge, Seyfarth offers employers a well-reasoned and experienced perspective aimed at controlling costs and maximizing profits, avoiding adverse publicity, and keeping pace with ever-changing tax and securities laws. Our team has represented some of the largest and most well-known businesses engaged in industries such as manufacturing, retail, healthcare, insurance and financial services. We also routinely represent closely held businesses which have unique equity and executive compensation considerations given the lack of a public market for their equity. As such, our attorneys are experienced in partnering with these businesses to find practical design solutions. Our attorneys rely on a strong grasp of the often-complex laws governing equity and executive compensation coupled with technical know-how to reduce risks for our clients and still achieve their business objectives. Our team works closely with management and their non-legal advisors to craft appropriate employment, retention and separation agreements for each client’s needs. Drawing on our firm’s cross-disciplinary strengths in employment law, we draft concise documents that clearly reflect economic agreements as well as the standards of accountability, including restrictive covenants and clawbacks for misconduct. We understand that equity compensation is vital for competing for top talent and rewarding exceptional performance. 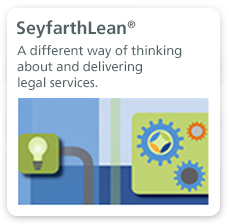 As such, our attorneys skillfully design and implement broad-based and executive-level equity compensation programs that combine a thoughtful mix of equity incentives, including stock options, restricted stock or stock units, performance shares, stock appreciation rights and employee stock purchase plans. Throughout, we remain mindful of the critical accounting requirements associated with equity compensation plan design and operation and assist the plan sponsors with related disclosure, compliance and registration requirements. Our team can help clarify the goals for innovative incentive compensation programs, define performance objectives, structure them to meet compliance requirements and place strategic limits on the benefits payable under them. In addition, we regularly represent clients in designing non-qualified deferred compensation programs, including make-whole plans that replace benefits not received due to tax-qualified plan limits, elective deferred compensation plans, supplemental executive retirement plans and rabbi trusts. We focus on practical and legal ways to provide flexible access to non-qualified deferred compensation that allows executives to accumulate meaningful retirement benefits even with restrictive limits under traditional tax-qualified profit sharing and pension plans. Our advice takes into account the complex regulations governing many of these arrangements, including equity, under §409A of the Internal Revenue Code. Section 409A has required both public and private companies to re-examine all of their executive compensation practices. Our team has followed §409A since before it was enacted, conducted a series of client briefings, and has assisted numerous clients in restructuring their compensation arrangements to preserve their economic substance while avoiding the draconian penalties of §409A.